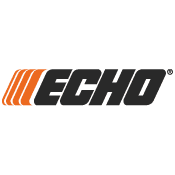 We are proud to carry the entire line of ECHO outdoor power equipment, parts, and accessories. Looking for replacement parts like blades, trimmer heads or blower tubes? We carry ECHO replacement parts.